Announced on the official Roku blog earlier today, the streaming hardware company has developed a universal search application that incorporates content from the most popular streaming video applications. Similar to Google’s search function on Google TV or Boxee’s search function on the Boxee Box, movies and television shows from Netflix, Hulu Plus, Amazon Instant Video, Vudu, HBO GO and Crackle will appear within the search listings. Beyond the title of the content, users will also be able to search for the names of specific actors, actresses and directors in order to find the correct video. This will be particularly useful as users won’t have to jump between applications in order to search for a specific piece of content. After a user selects a specific television show or movie, Roku will show the user all options for watching the content. Hypothetically, a user could be ready to purchase a movie rental on a premium service like Vudu, but may happily find that the movie is already included in their monthly subscription price to Netflix Instant. According to Roku, the company is going to continue adding partners in the coming months and there are already 130,000 different movies and television episodes included within the search application. If a user also owns an Android or iOS smartphone, the free Roku application includes a keyboard option to type out a specific search query instead of using the remote to type one letter at a time. 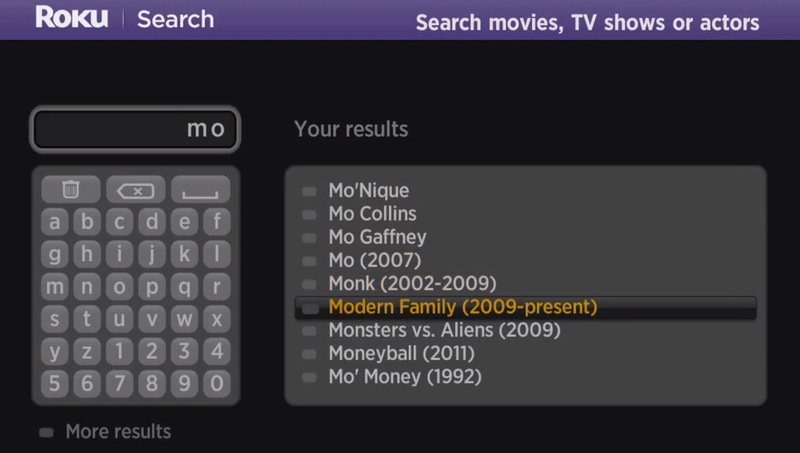 In regards to compatibility, Roku Search will work with the Roku Streaming stick, Roku LT, Roku HD and Roku 2 devices. However, Roku Search won’t be available to first generation Roku owners due to hardware limitations. The new Roku Search application will be pushed out to compatible hardware over the next week. However, users can force the update by checking the “Software Update” section within the settings menu. After the device is updated, the user will need to download the search application to get started.